Like blood pressure, our cholesterol readings are quite important as we age. It’s important to know these numbers because if uncontrolled, or if you have too much of the “bad” kind, it can lead to serious health consequences. Cholesterol comes in two forms: Low-density lipoprotein (LDL) and high-density lipoprotein (HDL). LDL is the type we generally refer to as “bad” and HDL is the “good” kind. But what makes cholesterol good or bad? Well, LDL can actually stick to the walls of your arteries making blood flow more difficult. HDL, on the other hand, moves cholesterol to the liver where it can be removed. Cholesterol is essential to our body and in fact 80 percent of it comes from the body and so it’s imperative we maintain a healthy balance. Although you may know that the key to good health is having healthy cholesterol, there are a few facts about cholesterol that maybe you don’t know. Therefore let’s look at some cholesterol facts that are not as common. 1. High cholesterol can reveal itself on your skin: If you think the only way to determine if you have high cholesterol is through blood work, you’d be mistaken. In fact, high cholesterol can be seen with the naked eye. With seniors in particular spots can develop on the face and joints called xanthoma (pronounced zan-thoh-muh-tuh). 2. 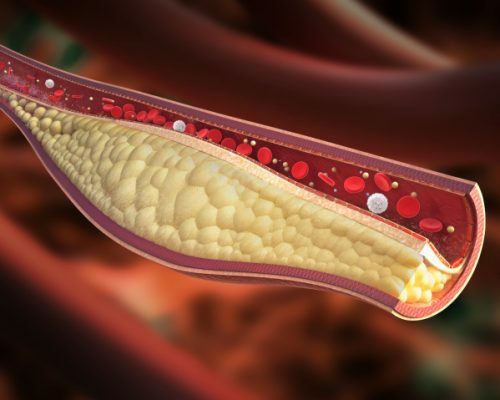 Cholesterol-free can still raise cholesterol: Because so many of us are concerned with our cholesterol manufacturers have started to make many products that are cholesterol-free. But don’t be fooled by these labels, these items can still raise cholesterol. Cholesterol food items are usually products from animals like meat, milk and eggs. Even though a food item may not have these as an ingredient they may use cooking techniques which can boost cholesterol, for example deep fried food. Trans fat, for one, can increase one’s cholesterol, although as of late the FDA has put a ban on its use so we may soon be able to eat much safer. 3. Eggs are safe to eat if you have cholesterol: Eggs and cholesterol seems like a longer debate then the classic, “What came first, the chicken or the egg?” One day we’re told they are dangerous and the next day they aren’t. Do eggs contain cholesterol – yes, indeed they do. Are they safe to enjoy? Of course! Eggs are a superfood with a lot to offer. The American Heart Association has given eggs the thumbs once again so go ahead and crack one open – but just remember: Moderation is key! 4. You need cholesterol: You may think it would just be easier to eliminate cholesterol all together, but your body actually needs it. Cholesterol aids in cell structure, hormones, your metabolism and helps absorb nutrients. For these reasons we can’t go without it. What we can do, though, is ensure we contain the healthy variety and not the form which can clog our arteries. 5. Sometimes high cholesterol is unavoidable: You may eat right, exercise daily and generally look after your health but when you go check your cholesterol your results reveal a different story. Unfortunately, lifestyle habits don’t impact cholesterol as much as genetics do. High cholesterol can also be due to genetics. Referred to as familial hypercholesterolemia, this condition gets passed down through genes resulting in high bad cholesterol. This can result in early heart attack and so guidance from a doctor is necessary. But don’t give up the healthy living even if your cholesterol is genetic. You still want to maintain good habits so that you don’t help worsen the condition. As mentioned cholesterol is necessary but making healthy lifestyle choices is the difference between staying healthy and succumbing to your cholesterol. As always, eat well, exercise as much as you can, reduce stress, don’t smoke and limit alcohol consumption. These are the fundamentals to living a long life and ideally they should be practiced daily.